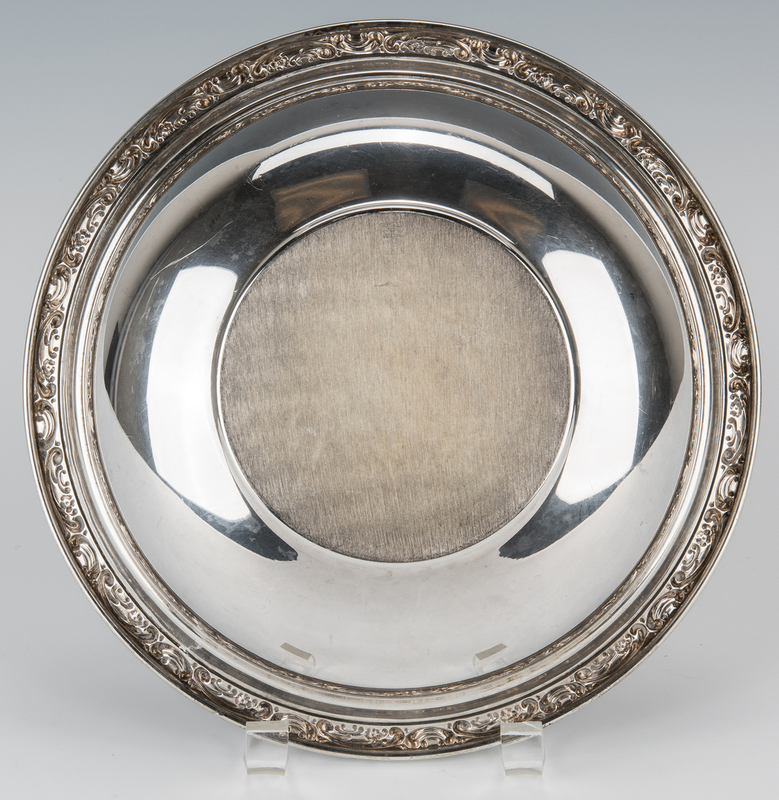 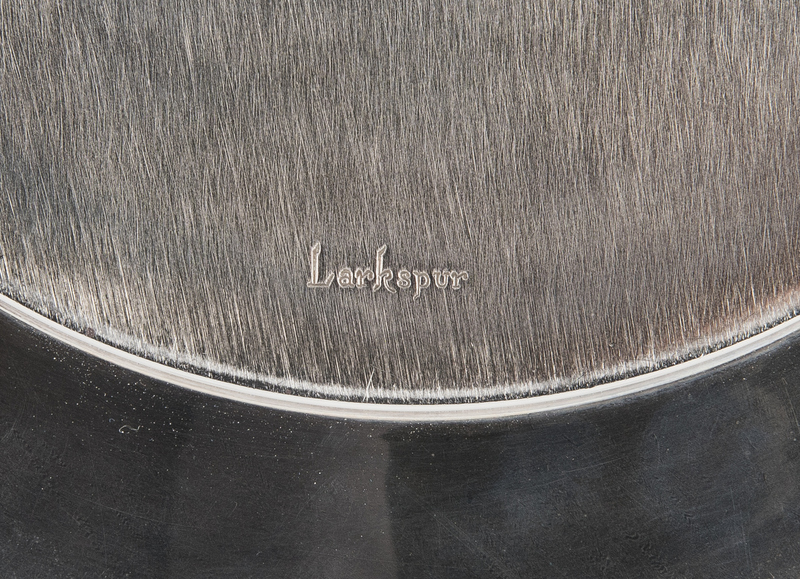 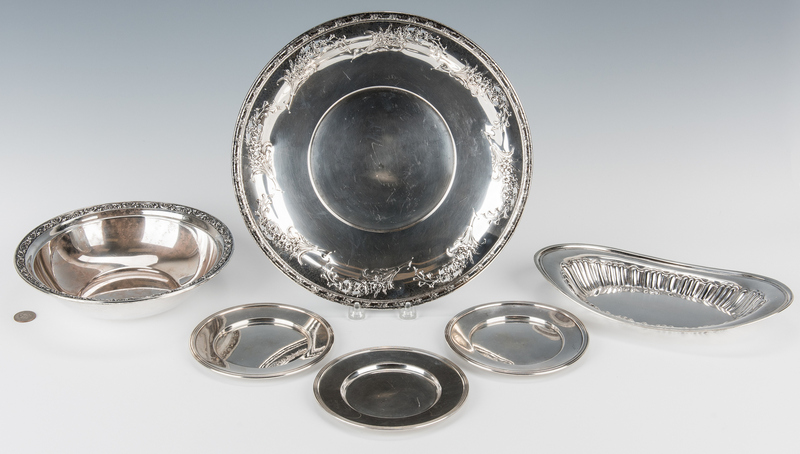 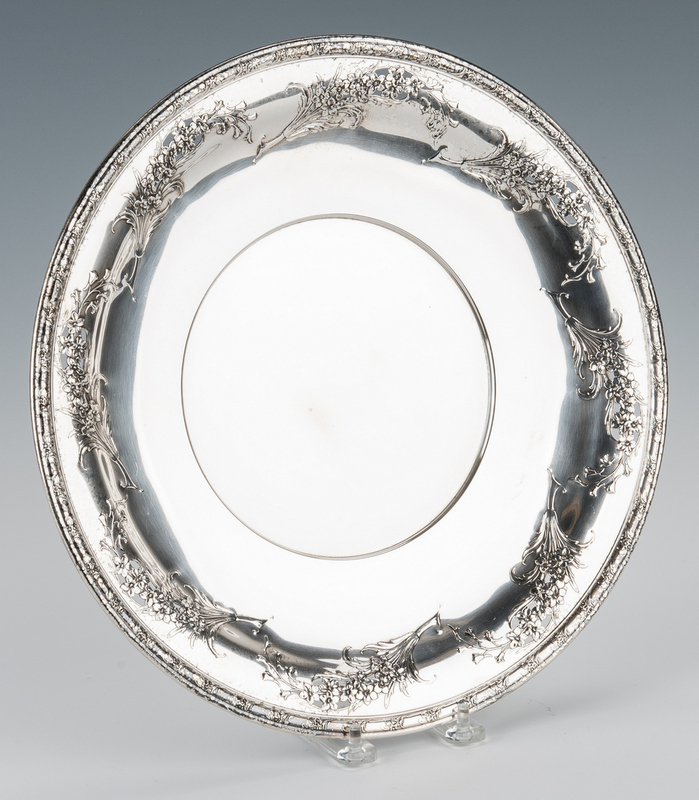 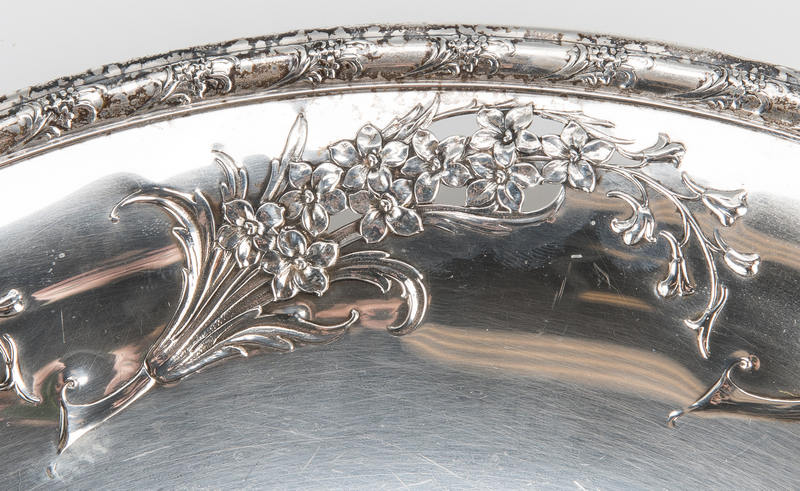 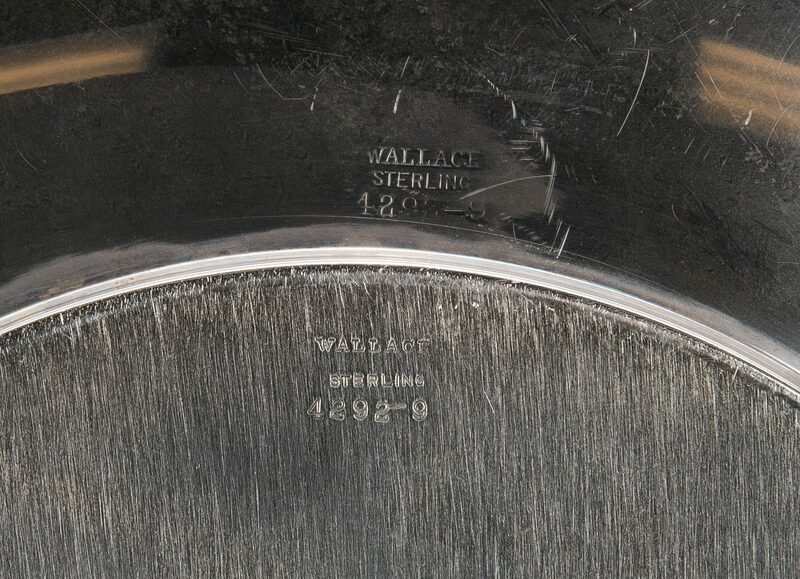 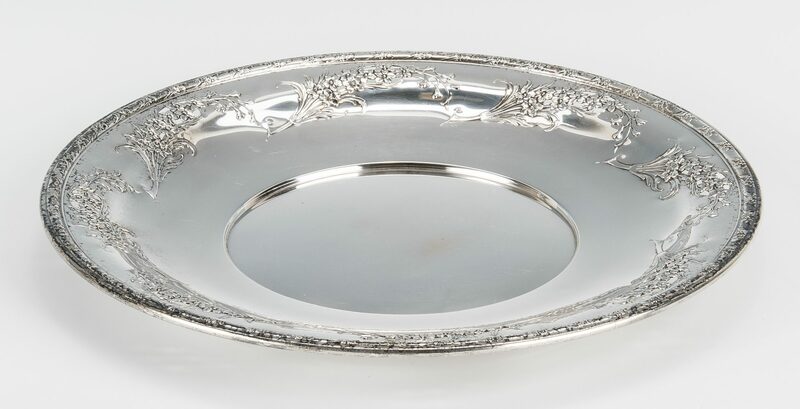 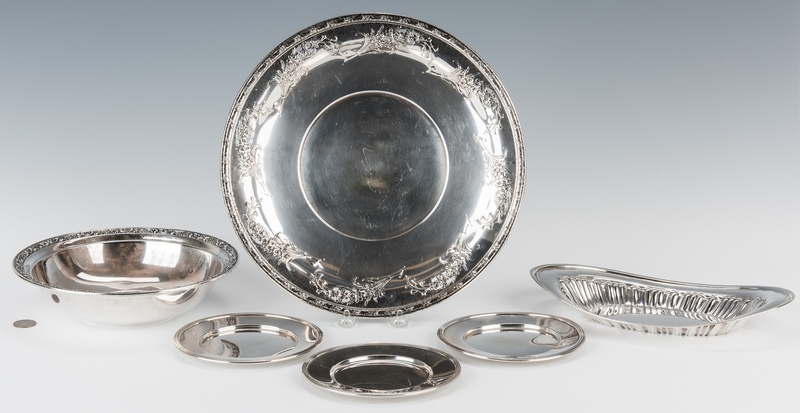 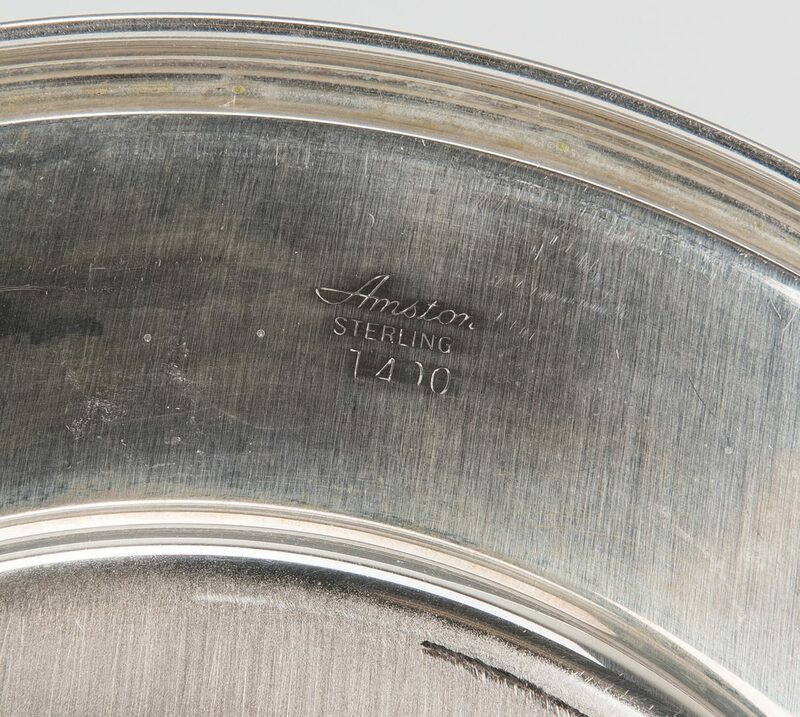 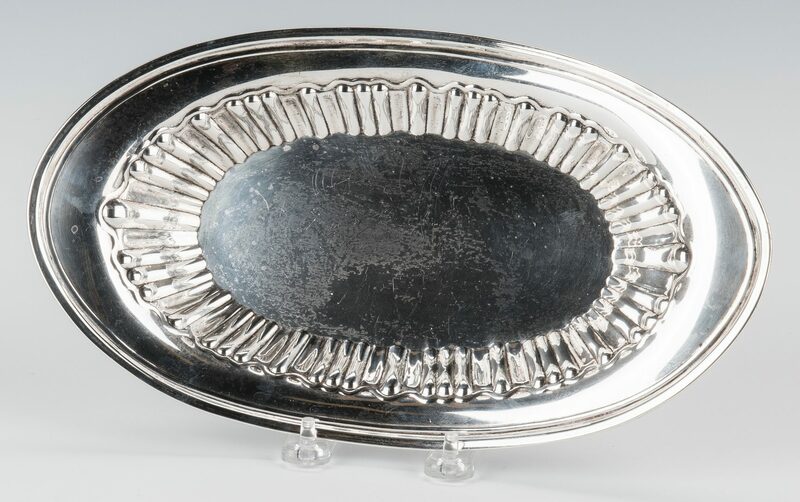 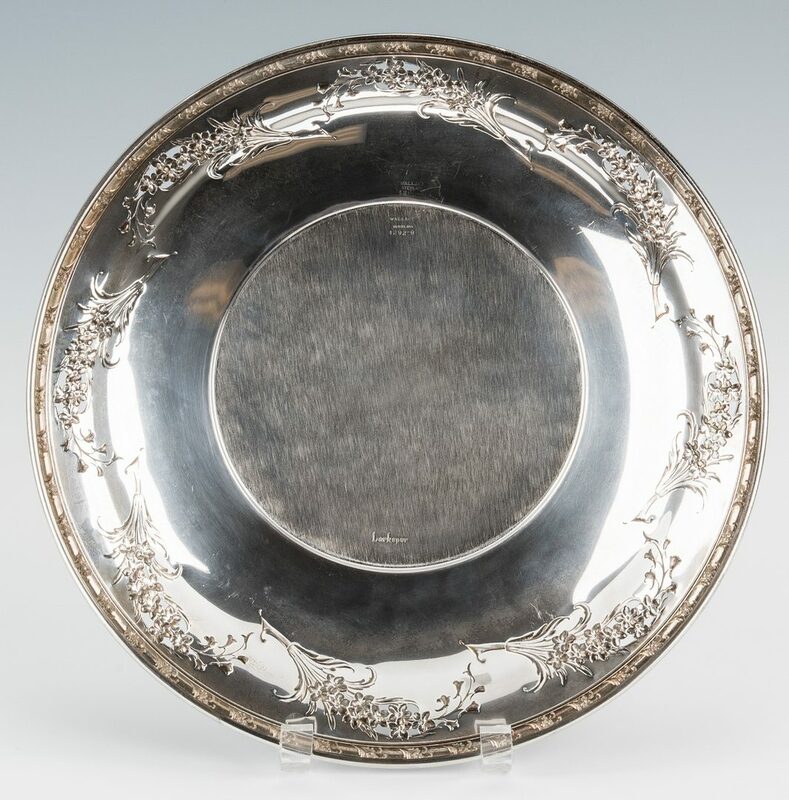 Assembled group of 6 sterling silver serving items, including 1 Wallace "Larkspur" pattern round serving tray with pierced border, maker's marks on the base, 12 7/8" dia. 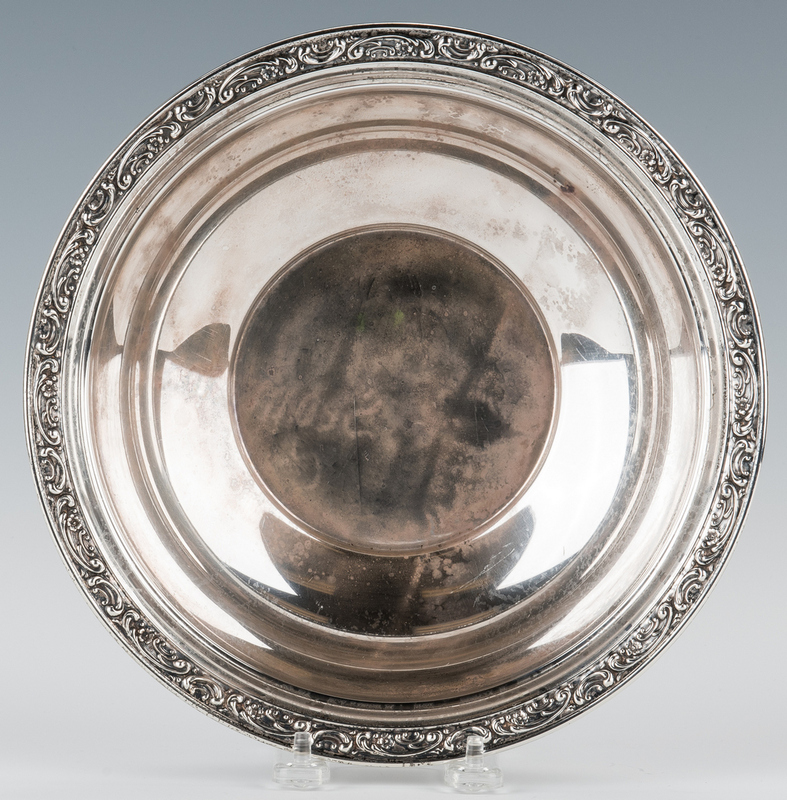 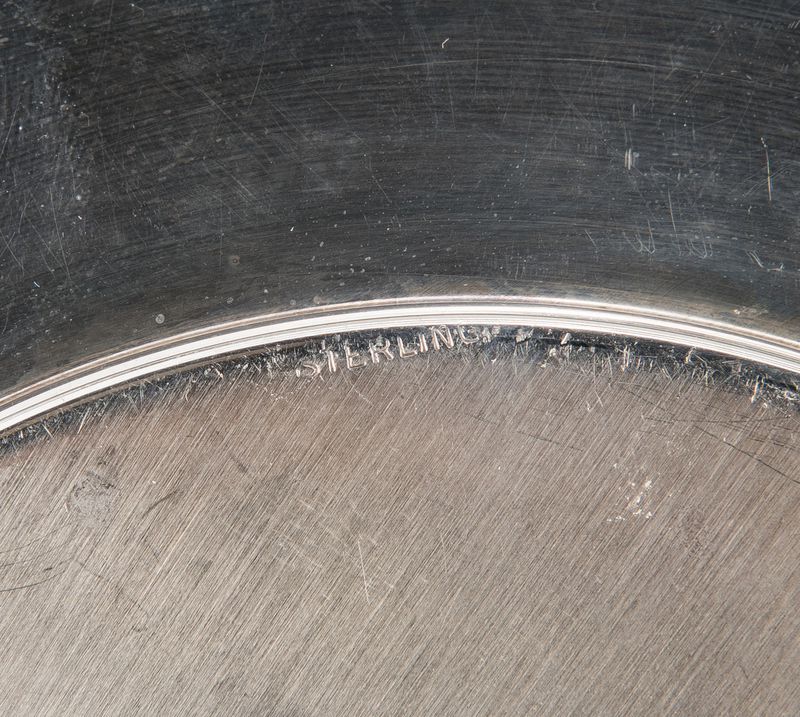 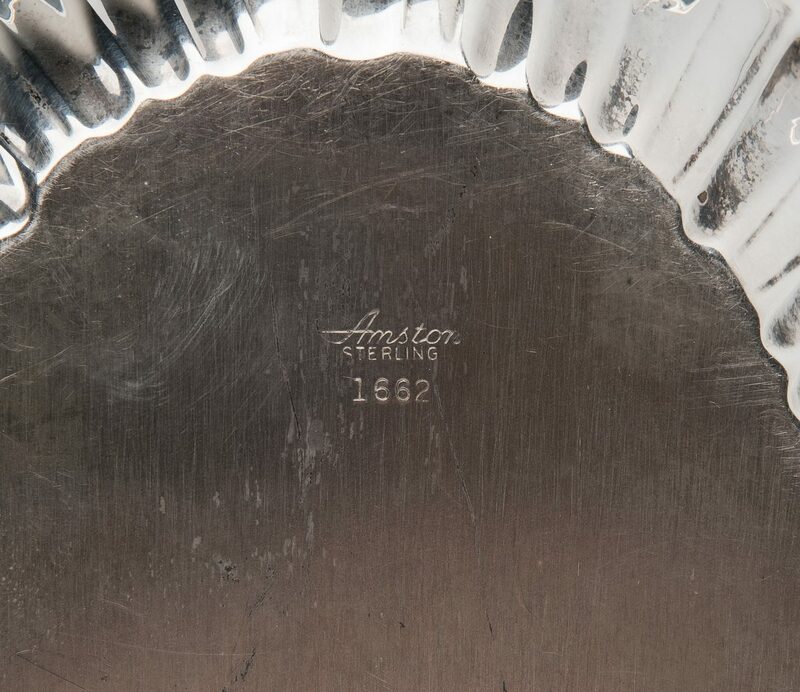 ; 1 Gorham pattern #1226 vegetable bowl with decorative rim and maker's marks on the base, 2 1/4" H x 9 1/2" dia. 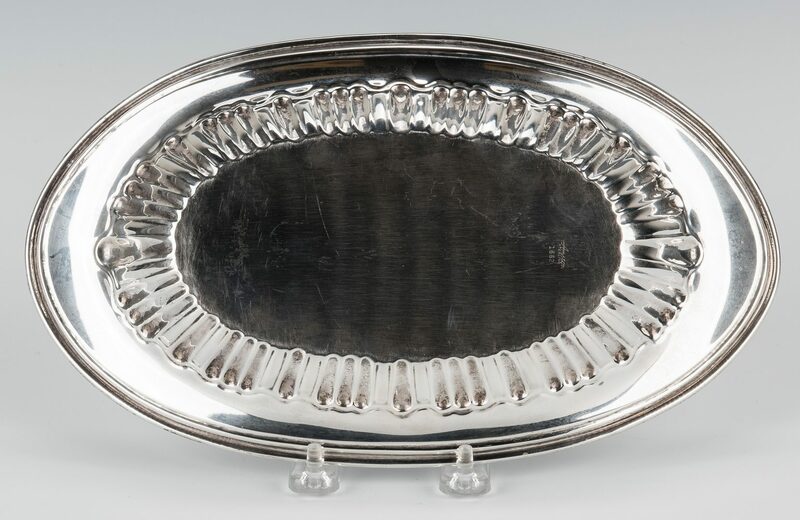 ; 1 Amston bread tray pattern # 1662 with ribbed sides, 11 3/8" W x 6 1/2" D; and 3 Amston bread and butter plates, 6" dia. 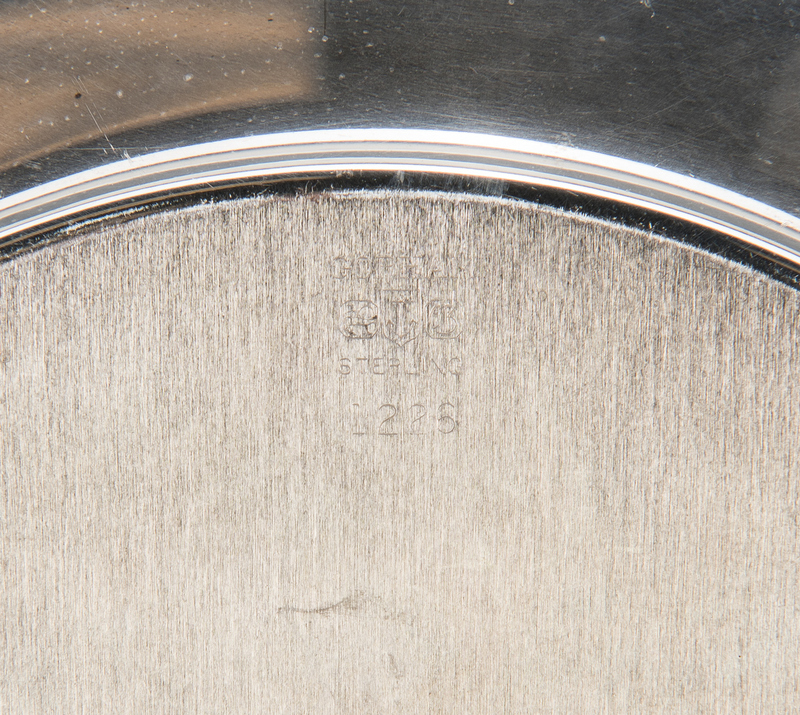 44.140 total troy ounces CONDITION: All pieces overall good condition with light general wear and surface scratching.